Product code: P966 Categories: Sold Items, Sold Rolex Watches. Since first being produced in 1926 the Rolex Oyster has become one if the most iconic watches in history, and here we are proud to have a vintage Rolex Oyster watch that was made in 1936. The invention of the Oyster case should not be looked at lightly – this was truly a major leap forward in the evolution of the wrist watch which was still really in its infancy. The Rolex Oyster case was the first to make a watch truly water and dust proof in a a hermetically sealed case where the back and just as important the crown where now screw down. Fitted in a 9ct rose gold case, the colour of the gold matches so well with the dial which is all original, not re-painted and has achieved the most lovely patina that only time can do. With original hands, the dial is easy to read with numerals and sub-seconds at the bottom. Measuring 28mm across plus the original Rolex screw down crown, this is such a handsome vintage Rolex to wear day or night. Inside is a 15 jewelled manual wind Rolex calibre 10 1/2 that has been completely serviced and now runs perfectly and comes with our twelve month warranty. 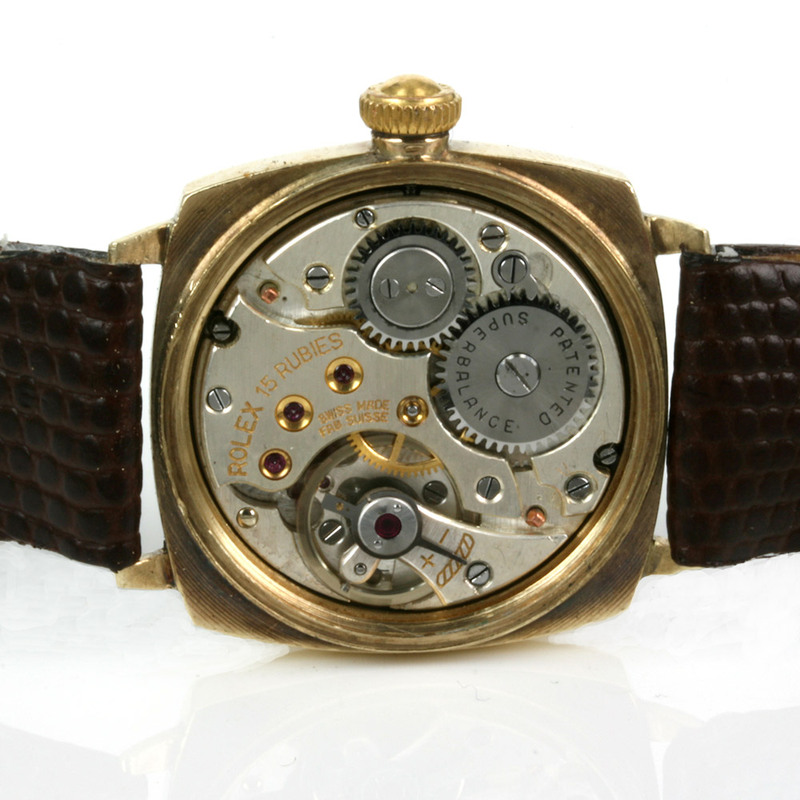 A real piece of history, this vintage Rolex not only looks superb it is also one of the earliest Rolex Oyster watches that you can wear on your wrist.